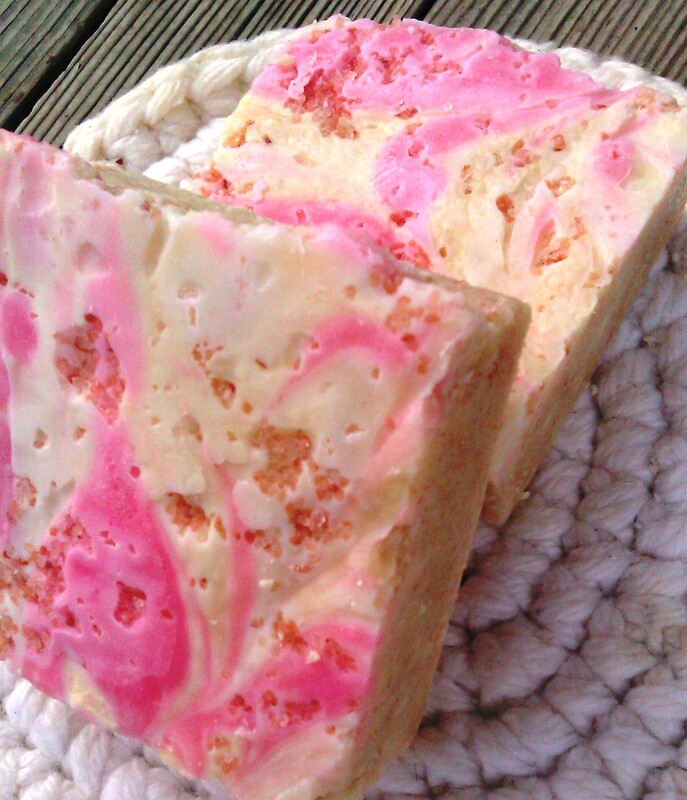 Yes, this is the most popular soap we ever made…. vibrant scent of eucyliptus and exotic lemongrass fill the room! And its essential oil, so the smell should not affect the sensitive allergies. And this gentle cold processed soap recipe is special, unique, exciting. 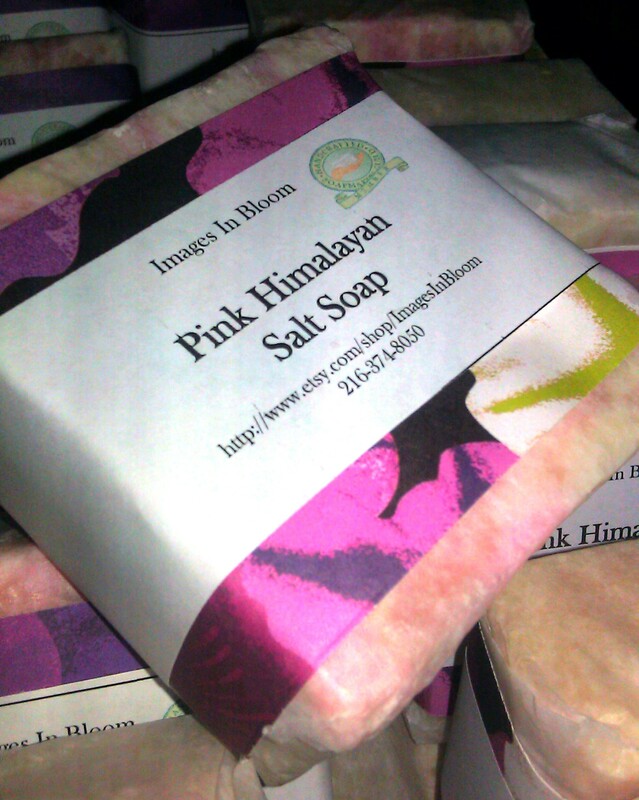 Blended into the soap formula is a sizable amount of pink himalayan salt, mined from deep within the Himalayan Mountain range in Asia. The soap doesnt lather as much as others we make, but the cleaning and antiseptic quality of the salt make it well worth it! The soap is made of Olive, Coconut and Palm Oil blended with Eucalyptus and Lemongrass essential oil, pink Himalayan salt and Shea Butter. 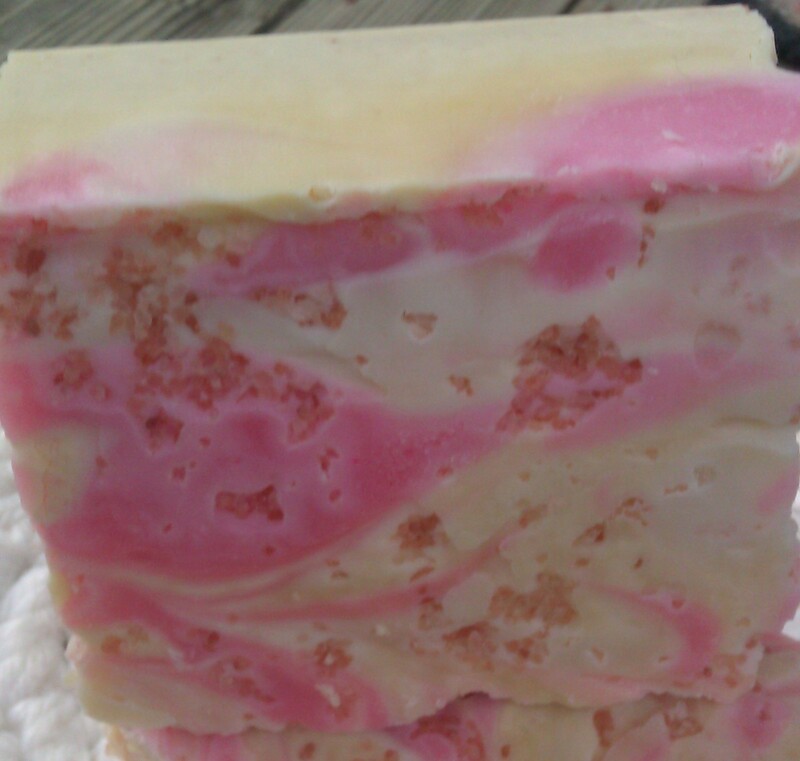 The soap was cold process oven processed, and we used a larger mold, so each bar is 3″ x 3″. These are larger bars of soap!!! its quiet lovely. I have been really addicted to it since i started using it… and it has been good for my crazy skin.